Ok, well technically not forever, because that would be a slight exaggeration and impossible, but since the moment I finished Ward Against Death two summers ago, I’ve been eagerly anticipating this book. Two years is an extremely long time to build up unrealistic expectations, to over-romanticize my love for the first book, for tastes to change and preferences to alter. So did it meet my expectations? Romance. Ok. Can we just talk about Ward & Celia and the fact that they… don’t? Talk, I mean. After all they’ve been through, they’ve finally come to a place of mutual respect and tentative friendship. Their previous adventure together has instilled a sense of loyalty and trust, they value each others’ skills and advice. They’ve begun to understand each other better… and to feel something for each other that might transcend the boundaries of “just friends.” But in the first book, that “maybe more” part of their relationship is never really addressed. <Smooshes Ward and Celia’s heads together> JUST KISS! Or talk first, then kiss! Ward. In the two weeks, since Ward brought Celia back from the dead, his life, his character, and his perspective of reality have been strenuously questioned and tested. Ward, is more of a gentle soul, more apt to have his nose in a book than getting himself into trouble of the serious sort. Though sometimes in Ward’s case, those two things coincide. Though he’s had previous run-ins with the law before meeting Celia, his intentions were always good. He has a compassionate heart, a noble sense of honor, and a surprising amount of courage, confidence, and strength of character he doesn’t give himself enough credit for. Speaking of things he doesn’t give himself enough credit for… Ward is the most recent generation of necromancer in the De’Ath’s long family tradition of powerful necromancers. Thought a bit odd and sadly under-talented by his family, Ward’s never thought much of his mediocre power. But after bringing Celia back to life with the Jam de’U and the battle with the Innecroestri Karysa, it’s apparent there’s a little more to his power than he originally thought. And Ward Against Darkness gives Ward the opportunity to discover just how deep his power runs. Celia. 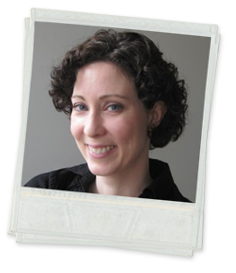 Celia’s journey as a character is just as compelling. When she was alive she was a ruthless killer, dangerous, terrifying and amoral – she wasn’t what you’d call a “nice person.” She used people to her own benefit, manipulated them, she was emotionally unattached, and driven to be the best. And she was. And then she was murdered. And then she met Ward. Being around Ward – seeing his gentleness, his sincerity, his decency – Celia’s begun to question the way she’s lived thus far, to question the way she looks at the world. She’s been given a second chance at life, and she’s not sure she wants to be the person she was before. In addition to Celia’s soul searching, we are also given some insight into just what may have happened when Ward cast the Jam de’U bringing her back to life the second time. For all intents and purposes Celia seems alive, nothing about her suggests that she’s artificially alive. But since Ward isn’t sure quite what happened with his improvised spell, Celia’s fully aware that she’s living on borrowed time, and she’s wondering just what kind of creature he’s turned her into. Story. And a large part of the story revolves around this – Celia’s state of being and the who, what and why of bringing a soul back from the dead, and all that entails. In Ward Against Darkness, a case of remarkably bad timing and mistaken identity lead Ward to play the part of apprentice-hopeful to a very dangerous Innecroestri (a necromancer that’s fallen to the darkity dark, dark side)… and this guy is nasty. Really nasty – cruel, and sadistic, and perverse. But under the Innecroestri’s roof, Ward learns more about his power, what he could be capable of and how much he’s willing to compromise. He glimpses firsthand the dark path necromancy could lead him down, while Celia learns more about what she is… or isn’t. It’s a pretty dark book. The title is accurate. This adventure of Ward and Celia’s is definitely grittier and darker than the last, with lots of action, a megaton of tension, political intrigue, danger, close-calls, betrayals, with the promise of more darkness to come. It’s interesting to note that in Ward Against Death, Ward was adrift in the unfamiliar waters of Celia’s underworld, at her mercy to navigate through it. In Ward Against Darkness, this is flipped a bit. Though Celia is incredibly skilled at stealth, murder, defense, theft, etc. — and those skills do come in handy — all her talents are nothing if she has to go up against an Innecroestri who can immobilize her with the flick of a finger. 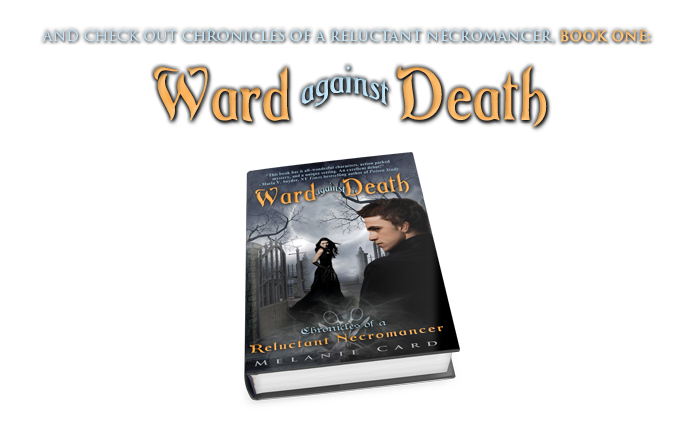 She’s on Ward’s turf, such as it is, and must rely on him – his ability at subterfuge, his unreliable magic, his sometimes-flagging confidence – to see them through this most recent danger. Celia does play an important and active role in the plot, it’s just she doesn’t possess magic and in this instance, magic kinda trumps all. Melanie’s pacing is downright perfect and so action-packed. The story never lags or plateaus, the tension just keeps building and building, moving at breakneck speed right from beginning to end. I was completely captivated. And the story arcs she set up for the next book(s) are extremely well done. I cannot wait to see what happens next with all these different threads that’ve been left for the next book to pick up. Overall. Dark and gripping with just the right amount of danger and romance, Ward Against Darkness ticked all my favorite boxes and left me in that wonderful state of being satisfyingly dissatisfied in which I’m now eagerly (i.e. – impatiently) awaiting Ward & Celia’s next adventure. May it be fraught with much peril and kissing. It IS fantastic, and of course! Thanks for stopping by, Erin! It is isn’t it??? And good luck, Kayla! I know! It’s one of my favorites and no it didn’t! Hope you get the chance to read it soon! Good luck! I have to say this sounds really good and I love that cover!! Thanks for your delightful review! I’m really excited about this book too! Well, thank YOU for reading my review! 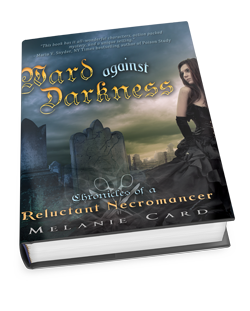 I hope you enjoy Ward Against Darkness too! Thanks for the interview and book description. The book sounds really good to be read for the summer. Yay! I hope you love it too! Thanks for dropping in, Mary! Yay, yay, YAY! Hopefully it’ll be available soon! It was supposed to release yesterday, but the release date might’ve gotten pushed back. I hope you love it too! Thanks for stopping by, Jess! ” JUST KISS! Or talk first, then kiss! Great review. I hope I win because I would love to read this book! Thanks for the giveaway and thanks for the chance to win!